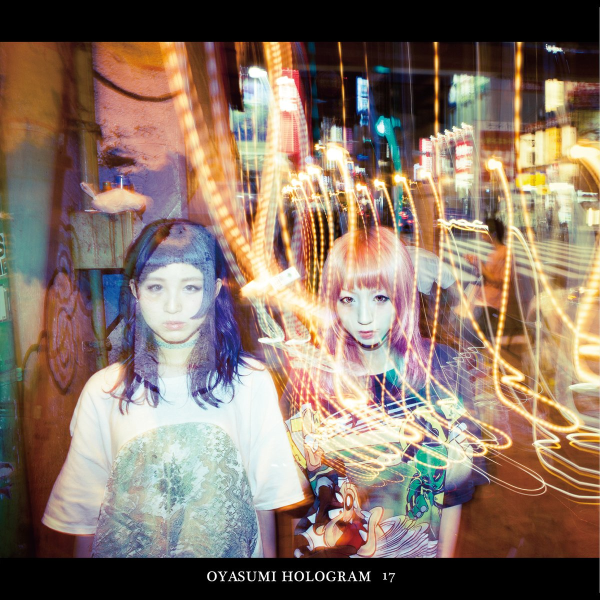 My thoughts on “17”, one of two new EPs from Oyasumi Hologram. Any of you guys ever waited for a bus for a super long time and then two of the stupid things show up at the same time? Yeah, me neither but that’s what waiting for new Oyasumi Hologram material for almost an entire year has felt like for me, and now they’re giving me not one but two new EPs to make up for it. Yes, I know they put out their acoustic live album “0413” back in June. I love it when Oyasumi Hologram perform unplugged so obviously I really enjoyed that particular release. I just really wanted some new studio track ya know? Also, am I the only one getting déjà vu right now? It’s probably because I wrote a similar opening paragraph for the Oyasumi Hologram review I wrote last week. This is a bit of a double header you see. Last week I reviewed “15”, which you can read here and this week I’ll be reviewing “17”. In case you haven’t read last week’s review and aren’t aware, Oyasumi Hologram like to perform either acoustically, with a band or backed by a synthesizer. They have fans who like each of these different compositions so they’re putting out two EPs, one band backed and one synthesizer backed. It’s a cool concept but I do question how it will work going forward. Like I said last week, I could have probably done both of these reviews at the same time but I’m currently in Japan having a blast so I don’t have much time to be writing content for the site. Anyway, we did the band backed Oyasumi Hologram EP last week so this week I’ll be looking at their new synthesizer backed material (and a couple of acoustic renditions). This will be the style most familiar to a lot of people so I guess maybe this one will be more popular? I don’t know but I’m expecting this EP, like pretty much everything Oyasumi Hologram does, to be pretty great. Let’s find out if I’m right. “17” opens with a slow dance, well a “slow dancer” anyway. I was a little caught off guard with the guitar at the start of the song but it does make way for a pretty chill sounding synthesizer beat…for the most part. Some of those samples sound like Maison Book Girl have been passing their sample pack around which is kind of amusing. Not too sure about the repetitive beeping that appears in the middle of the song but it kinda grows on you. Vocally things sound about how you’d expect a song called “slow dancer” to sound. A measured amount of power in the delivery and a pretty middling pace. It all sounds really clear though and you get those great Oyasumi Hologram harmonies that I’m personally a huge fan of. A couple of small blemishes, but this song is great otherwise. Following on from “slow dancer” we have “Lemon”. I guess Oyasumi Hologram have a thing for fruit because this isn’t the first time they’ve named a song after one. “Lemon” doesn’t really share any similarities with “strawberry” from Oyasumi Hologram’s second album though. The instrumental is…I guess maybe a mix of Calypso and early to mid 1900s (so weird to say) pop music wrapped up in a synthesized drum beat. I think that would be a decent assessment. Anyway, the vocals aren’t quite as front and center on this one, they’re more interwoven throughout the instrumental. They’re also much more ethereal and high pitched which I think suits the song well enough. They’re decently catchy but the instrumental is doing a lot of the lifting on that front with this song. Still really good though. I don’t know about you guys, but I love my mother. I definitely don’t tell her that enough though so I should definitely change that. Anyway, I also really love the song “Mother” and I guess more specifically I love the main hook in the instrumental that sound like its been ripped right out of the 70s/80s. Shout out to the drumbeat too, for giving everything a nice rhythm and being very simple but effective. There’s quite a bit of English on the go in the lyrics for this song, a lot of it pretty questionable but that’s about what I’d expect given my experience meeting and interacting with both Hachigatsu and Kanamiru. You probably wouldn’t even have noticed if I hadn’t pointed it out though because a lot of the vocals aren’t super easy to make out anyway. Great song regardless. Up next we have a song that’s in the running for “Worst Song Title of the Year” in my book. I dunno, I think “Hole of my underground” is pretty bad/questionable/etc on a lot of levels but I’m sure it sounded good to whoever came up with it and there’s some deeper meaning that I’m just not getting. Once again we’re treated to a mix of guitar and synthesizer for the instrumental which is decent enough but it’s maybe just missing a little something to really put it over the top. The vocals are also pretty decent but also feel like they’re lacking a bit more of a hook or something. I’m not sure, I feel like this song could really grow on me but right now I feel like it’s the weakest of the bunch from these new ones. It is by no means bad, it just had some really tough acts to follow that’s all. To round out the EP we have a couple of acoustic versions of the new material that was previously featured. The first of which being “slow dancer”. I’m not too sure how I feel about them adding another 40 seconds onto a song that was already verging on 5 minutes long but I really do love acoustic Oyasumi Hologram so I guess I’ll be able to overlook it somehow. You know my thoughts on this song already but I think this acoustic version might be about 5 to 10 times better. I really like the no frills, just a couple people, a guitar and a microphone in a recording booth setup but I know others don’t. This is a very good example of how Oyasumi Hologram sound if you go see them perform acoustically though, so no false advertising here. To be fair, while “slow dancer” might be 40 seconds longer Oyasumi Hologram have somehow found a way to shave 30 seconds off of the acoustic version of “Lemon” so I guess it’s a wash at the end of the day. They’ve kind of gone with the folksy, singer-songwriter vibe on this one which is pretty cool even though it’s not something I usually listen to. Once again it’s a no frills, just a couple people, a guitar and a microphone type of deal and you’re probably going to like it or not like it just as much as “slow dancer” that came before it. I’m down with it though so no complaints here from me. Your mileage may vary though. In case you haven’t figured it out yet, I really like this EP. The new material is all very good and the acoustic versions were a nice touch. Over the course of these 2 EPs we got to see all three side of Oyasumi Hologram which was pretty neat. They’re definitely trying to cater to as many different tastes as possible, for better or worse. 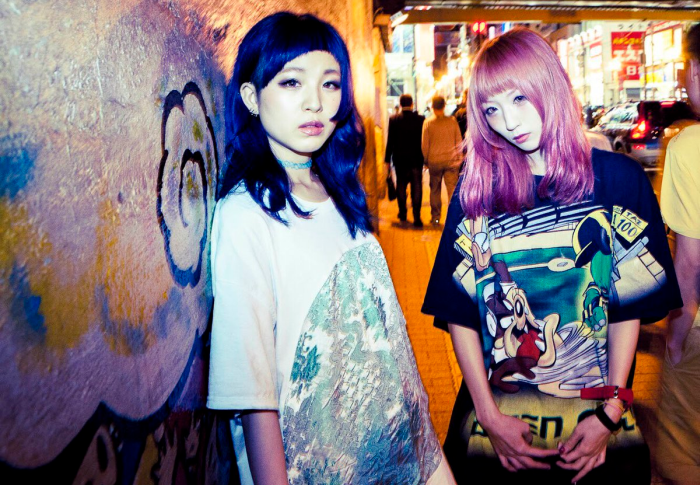 Hopefully we don’t have to wait another year for some more new songs from Oyasumi Hologram. It’ll definitely be interesting to see where they go from here as I’m sure it’s quite the juggling act trying to cater to all of these different tastes in music. They’re doing it pretty well so far though and I for one hope that they can keep it up.